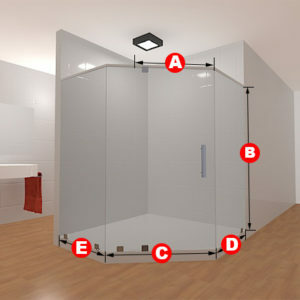 Opening right to left, this frameless glass shower set is amazing! The Neo-Angle Layout line is one of the best to purchase from. 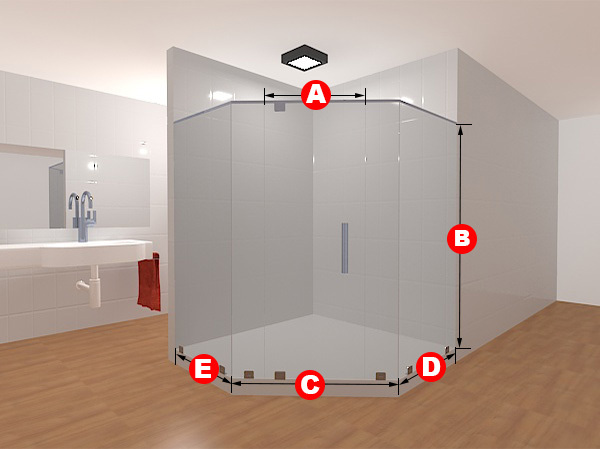 Notice the four panels and multiple clamps to keep it in place for a long time after a quick and easy installation! 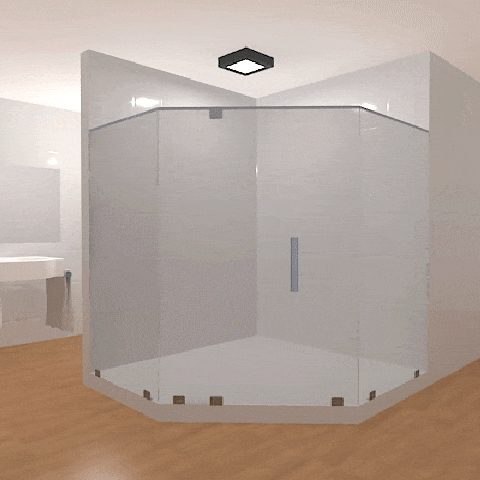 The glass can either be made to be clear or frosted, whichever strikes your fancy, and the dimensions will be, of course, fit to your specifications. 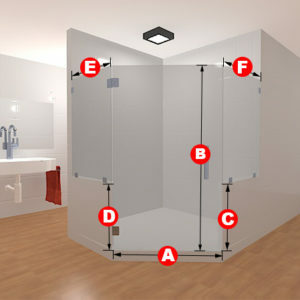 Included in this package are four glass panels, two glass to glass hinges, six glass to floor clamps and a handle.